Lingual braces are the ideal choice for individuals of all ages who would like to have their teeth straightened discreetly yet most accurately. The difference between lingual braces and traditional braces is that they are placed behind your teeth so no one will ever know unless YOU tell them.They are created using state of the art technology and are completely customised to the shape of your teeth and to your dental situation. Your orthodontist will build in a unique prescription to get the results that you want. 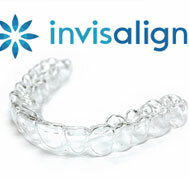 Incognito braces sit behind your teeth, ensuring that they are completely invisible from view when you smile. The braces used for Incognito treatment are completely customised for the individual, allowing for the most effective results possible. Noticeable results can be seen in a very quick time, which means a lot less check-ups during treatment. The materials used in Incognito means that patients with nickel allergies will not suffer. The braces do not cause any damage to the surface of your teeth, with initial difficulties with speech being the only discomfort. Does it affect my speech? After a short adjustment time, the tongue adapts to the appliance and pronunciation is usually no problem. 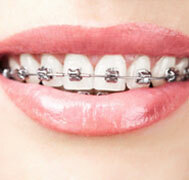 Dr. Tariq will give you exercises and useful tips to help you adjust to the braces as quickly as possible. Do the results appear within a short time? Will my teeth be damaged by bonding braces to the inside? 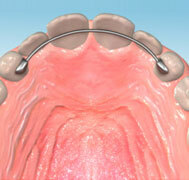 Do incognito Braces require a high level of maintenance? 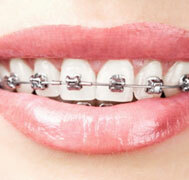 No, caring for your Incognito Braces will quickly become a natural part of your regular routine. Dr. Tariq, one of the best orthodontist in Dubai will give you hygiene tips and tricks. At Bright Smile, we are proud to be one of the best orthodontic center with experienced team of orthodontists. Our aim is to give utmost care using the advanced technology ensuring safe and best oral health for our patients. 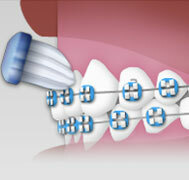 We specialize in Lingual Incognito Braces in Dubai. If you are in looking for a dentist for teeth straightening treatments in Dubai or Incognito Ligual Braces in Dubai, just call us and meet one of our best orthodontist in Dubai Orthodontic center and we will take care of all your dental care needs.